Achieving equality for all is one of humankind's greatest challenges. It is a complex problem with many facets, one of which is equal pay. A study by the World Economic Forum in November last year reported that it will take 100 years to close the gender pay gap. Worse still, the gap appears to be widening; the previous year’s prediction was 86 years. 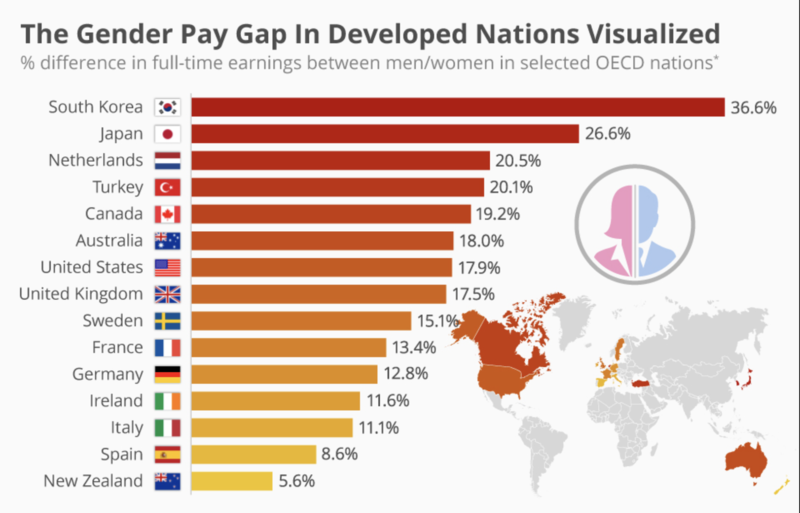 And so while achieving equal pay may still seem like a far-off dream, I have been encouraged to see the topic become more visible in the wider discussion about equality. In the tech industry specifically, more and more companies are looking at their data and are claiming to have reached pay parity. While I applaud their efforts to examine the data and close any gaps, it's important to remember that equal pay is not something that can be addressed once. It is a continuous journey and must be monitored on an ongoing basis, especially at high-growth companies. Will it take us 100 years to close these gaps? At Salesforce, where I work, our equal pay journey began in 2015 when my colleague Leyla Seka and I raised the issue with our CEO, Marc Benioff. With his blessing and encouragement, we conducted our first equal pay audit later that year - and we found that approximately 6% of employees were due a salary adjustment. We spent nearly $3 million to eliminate any unexplained differences in pay, for both men and women. From that point on, we pledged to evaluate our workforce on an ongoing basis to ensure that employees are paid equally for equal work, and to close any remaining pay gaps. In fact in 2016, a year in which we added more than 7,000 employees, we again assessed employee pay globally. This time, we looked at both gender globally and at race in the US, and we found another $3 million of gaps to plug. It's unrealistic to think that equal pay is a one-and-done fix. There is no finish line to equal pay. It's something that has to be reviewed and addressed regularly as there are many factors that can contribute to pay discrepancies, from unequal pay inherited from acquired companies to bias in hiring and promotion practices. Could Iceland’s equal pay law work in the US? Is this why we've not achieved gender equality at work? It's important not only to evaluate the data, but to look at the root of the problem and how we can continue to improve the hiring and compensation processes. For example, what questions are being asked in interviews? How are promotions and bonuses being evaluated? What practices are in place — or are missing — that could be contributing to a pay gap? More importantly, equality cannot be an afterthought. It must be part of the company's DNA and the tone must be set from the top. I was fortunate to have support from our CEO to address equal pay at Salesforce and make a commitment to evaluating it on an ongoing basis. We cannot wait 100 years for pay equality to become a reality. It's up to every business leader to take action and ensure that every employee is compensated fairly.